Omega is accredited by AdvancED. Omega Learning®, including the services of Omega Private Academy®, is accredited by AdvancED nationwide. AdvancED is the world’s largest education community, engaging 32,000 public and private schools, 4 million educators, and 20 million students across the United States and 70 other countries worldwide. The AdvancED organization seeks to help schools in every state in the country improve student success by holding them accountable to a stringent set of educational standards. Omega realizes the importance of an accreditation. Omega is committed to continuous improvement. 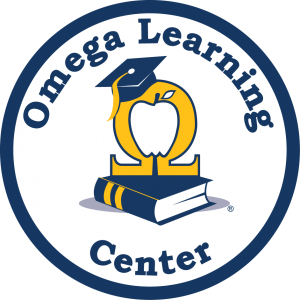 In 2016 Omega Learning® was re-accredited with Honors through 2021. Omega’s re-accreditation scores exceeded the AdvancED network average scores by 30%. Omega is committed to maintaining its accreditation, as most colleges and universities will accept only students who have graduated from AdvancED accredited schools. Omega is accredited in every state. Regional AdvancED accreditation divisions in the United States include the North Central Association Commission on Accreditation and School Improvement (NCA CASI), Northwest Accreditation Commission (NWAC), and the Southern Association of Colleges and Schools Council on Accreditation and School Improvement (SACS CASI). Omega is committed to maintain our accreditation. Every five years, accredited schools are re-evaluated by AdvancED representatives to ensure that they continue to provide the consistent standards of educational quality. Omega will continue to uphold and improve the highest standards in order to maintain our valuable accreditation, the integrity of our franchise system, and the trust of our customers.